CEC specialises in surveys, assessments and monitoring of protected species. In complex cases where a European Protected Species Licence is required, we will also apply to Natural England for this on your behalf, undertaking the necessary work to achieve it. 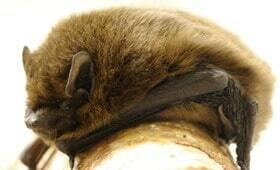 Protected species that come under our remit include: bats, barn owls, otters, badgers, dormouse, reptiles and birds. Click on the links for specific information on the main protected species. All bats are protected by law, as European Protected Species (EPS), and it is necessary to undertake bat surveys for most developments. They are also strictly protected under UK law by the Wildlife and Countryside Act 1981 and by the Habitats and Species Regulations 2010. Local planning authorities have a duty to make sure that proposed developments will not affect the favourable conservation status of an EPS. This means that if a site has potential to support bats, and/or there is a possibility that a proposal may affect these species, the planning authority will need to receive a detailed survey report and mitigation proposals as part of a planning application. CEC can help you mitigate such circumstances by carrying out surveys to establish if bats or barn owls are present on a proposed site. 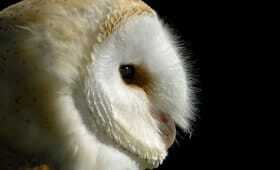 If bats or barn owls are present, then that does not mean that a development cannot proceed. However, special measures will need to be put in place to mitigate impacts. 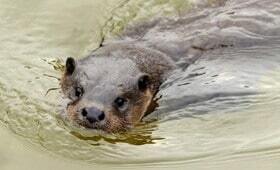 Otters are widespread in Cornwall and generally considered to be present within all river catchments across the county. They are also strictly protected under UK law by the Wildlife and Countryside Act 1981 and by the Habitats and Species Regulations 2010, and are European Protected Species (EPS).Local planning authorities have a duty to make sure that proposed developments will not affect the favourable conservation status of an EPS. This means that if a site has potential to support otter, and there is a possibility that a proposal may affect the species, the planning authority will need to receive a detailed survey report and mitigation proposals as part of a planning application. Badgers and their setts are protected under the Protection of Badgers Act 1992 and the Wildlife and Countryside Act 1981. Badgers are protected on animal welfare grounds rather than for conservation concerns, this means that the legal protection of badgers works in a slightly different way to other protected species. A badger survey will, in the first instance, consist of a walkover survey looking for badger setts and other field signs. More in-depth surveys may then be required to gather sufficient evidence for mitigation plans and licences. In cases where any development will result in disturbance or damage to a sett, works can only be legally undertaken with a licence from Natural England. As badger mitigation and licensing can be a complicated process, it is strongly advised to contact us as early as possible within the development process to obtain detailed site specific advice on the options available. CEC’s principal ecologist, Jenny Stuart, is registered to use the new badger class licence, which has a streamlined licensing process and faster turn around, so choosing to use us for any badger sett closure may reduce delays to your project (seasonal restrictions still apply). The hazel or common dormouse is a European Protected Species (EPS), which are protected under the Habitats and Species Regulations 2010. The hazel dormouse is also a UK BAP priority species and protected under UK law by the Wildlife and Countryside Act 1981. Local planning authorities have a duty to make sure that proposed developments will not affect the favourable conservation status of an EPS. If a site has potential to support dormouse, and there is a possibility that a proposal may affect the species, the planning authority will need to receive a detailed survey report and mitigation proposals as part of a planning application. The water vole is fully protected by the Wildlife and Countryside Act 1981. 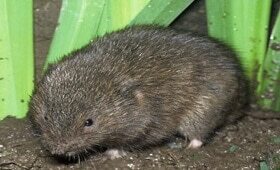 Sadly, the water vole is thought to be extinct in Cornwall. Therefore it is not normally deemed necessary to undertake a water vole survey for building and developments with Cornwall, but such surveys will be required on suitable sites further east. This could change in the future if the species continues to do well elsewhere and populations spread. 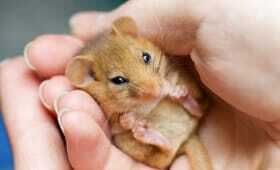 All birds, their nests and eggs are protected under UK law by the Wildlife and Countryside Act 1981. Some species, such as barn owl are additionally protected against disturbance whilst nesting, through their listing on schedule 1 of the Act. However, most bird species are not offered the same level of protection as the higher profile protected species such as bats or dormice. There are a number of different types of bird surveys you may require for building and developments, such as breeding birds, wintering birds and migrant birds. The ecologist undertaking your PEA will be able to advise you on the scope of any further surveys required, and to explain the methodology and timings.CEC’s bat and barn owl assessment also includes other birds which may be using the building, such as swallows, swifts, house martins etc. 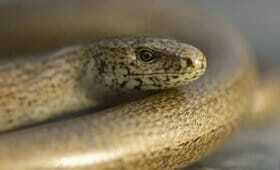 All native reptiles are protected under UK law by the Wildlife and Countryside Act of 1981. Native British species are the grass snake, adder, slow worm, common lizard, smooth snake and sand lizard (the latter two are also listed on the Habitats and Species Regulations 2010. In Cornwall smooth snake is absent and sand lizard is only present on a single re-introduction site). 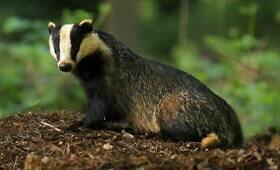 They are all listed as priority species for conservation on the UK Biodiversity Action Plan. If you plan a development within suitable reptile habitat, then you will need a reptile survey, following the Froglife guidelines for reptile survey. The survey will usually involve the setting out of a series of artificial refuges in the areas of suitable habitat, which will then be checked on seven occasions in suitable weather to establish the presence/ likely absence of the different species of reptiles on your site and what impact your development may have upon them. Most invertebrate species are not offered the same level of protection as the higher profile protected species such as bats or dormice, but these species groups still offer an important contribution to biodiversity, and a number of species are legally protected. Surveys for invertebrates will be required for development sites where there is potential for important species or species assemblages to be present, or for larger schemes where there will be a significant level of disruption to suitable habitats. The scope of the survey will depend on the size and nature of the site and development proposals, but are likely to include a scoping visit by an invertebrate specialist to design the survey, which may involve day-time visits to record or catch invertebrates and perhaps night-time moth trapping. 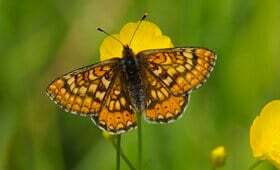 Surveys will be designed following Natural England guidance. This is to ensure that any important species are picked up and can be considered in terms of impact and mitigation and to ensure that the scheme as a whole will not have an overall detrimental effect on biodiversity. If you require any further information please call us on 01872 245510 or contact us to discuss your project and requirements.